The recent trend in gaming seems to be making an up-scale HD version of successful games, Halo: The Master Chief Collection, The Last of Us, Gears of War: Ultimate Edition to name a few. All they do is make them look that little bit smoother, nicer shading, better hair on the main characters etc, but it is essentially the same game, only released really to make a quick buck and fill in a gap on the developers schedule. With this power now installed into you, it is your mission to take on the OS in a series of challenging puzzles and platforms across the generations of gaming, starting from the blocky and pixelated 2D screens of the NES and Mega Drive, up to modern day 2D platforming in HD. 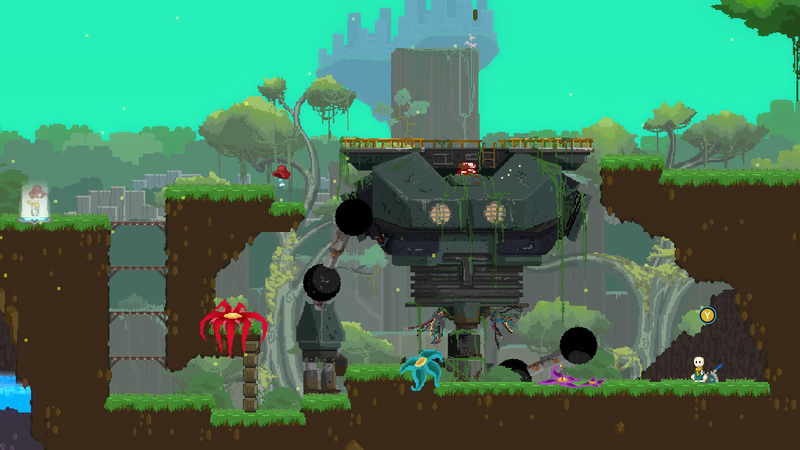 There are no enemies to kill, no weapons, no fighting, this game is a pure puzzle platformer. The premise of the game is a simple get from point A to point B, but with many obstacles and barriers placed in your way, you’re greatest ally in this game is your imagination and boy do you need it. 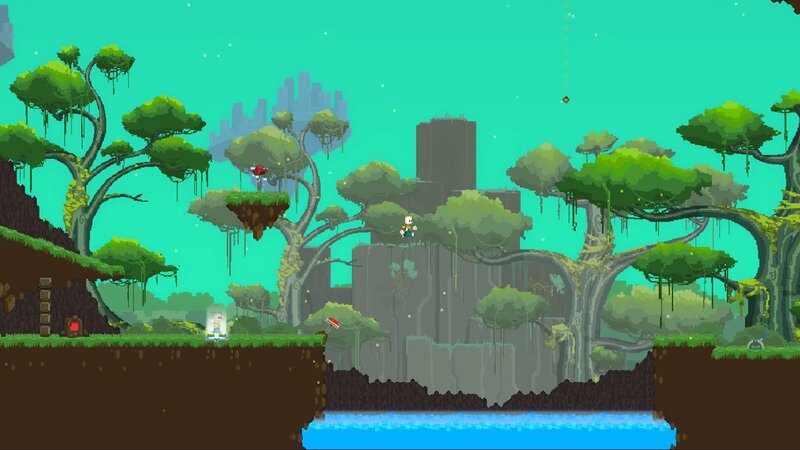 The game starts simple enough, jumping from platform to platform while your guide gives you the basics of what you can do, a kind of tutorial. You are then dealt with situation which you have no chance of making with a single jump, now the game really starts when you gain your magical transportation hat. This hat basically allows you to drop your hat in a place and when you press a button you will reappear where you left the hat and you leap forward, allowing you to make harder and higher jumps. Let’s be honest, you will die many, many, many times and from this, it’s the only way that you will learn how to progress through all the levels. Save points are conveniently situated, which saves a lot of time redoing some puzzles. There will be times where you will have to walk away from your computer and take a 5- 10 minute break, none more so than in the challenge rooms. Now, for the sado-masochist gamers, these challenge rooms are a delightful addition to the game. By collecting coins throughout the worlds, you will spot these randomly placed doors asking for some payment to enter. Those coins are for those rooms. 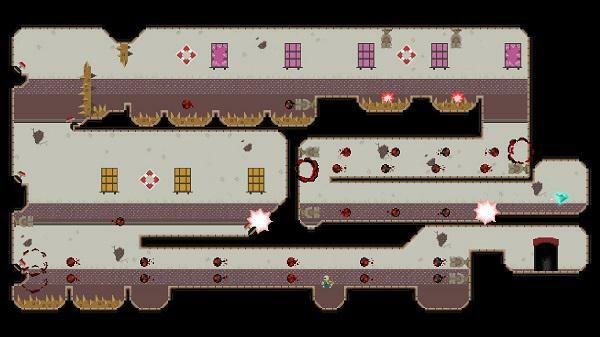 For the people who played Super Meat Boy and managed to get all the characters, including Guy from I Wanna Be The Guy, you will understand what these rooms can be like and the devilish skill that these entail to complete these. For you first timers, let me explain. These are no ordinary challenge rooms. The aim is to get to the end of the room and collect the memory crystals and, while these are not necessary, they will help with maybe filling in some blanks about the in game lore. The impeccable timing, skill, patience, determination to get that bloody crystal will put many a gamer off, the only saving grace is that you can back out at any time and walk away from these rooms and come back another day to attempt them. It is just through sheer frustration of the trial and error of trying to complete these rooms that will either drive you away, or hook you in wanting you to come back for more. The game doesn’t get any easier, there are no extra power-ups or lives, the games only gets harder as they throw more and more at you. You have to think faster, move quicker, think outside of the box to complete even the simplest of puzzles. + You will want to come back and finish that difficult room off. This entry was posted in Uncategorized and tagged A Pixel Story, Indie, Lamp Light Studios, Steam. Bookmark the permalink.